Seth Rollins sent shockwaves through the WWE last night at Raw as he turned on his Shield partners Dean Ambrose and Roman Reigns. Rollins was scheduled to fight one on one with Randy Orten but things looked set to get nasty when Triple H entered the arena with his trademark sledgehammer. Rollins then picked up a chair in what seemed like a move to defend himself but out of the blue he smashed the chair over Roman Reigns' back and he quickly followed that up with an attack on Ambrose. 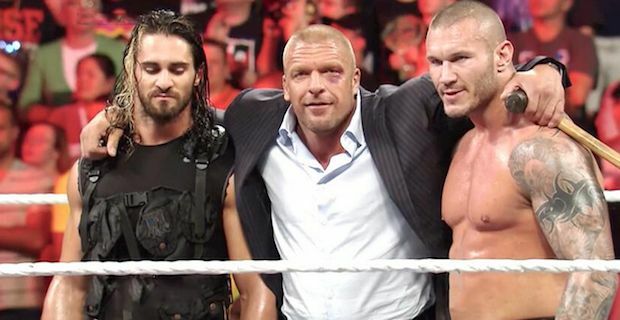 Triple H has long claimed that he was going to end the Shield in any way possible and he must have sensed Rollins was looking for a change of scenery and did the necessary persuading. Earlier in the night, Batista shocked Evolution by announcing he was leaving the alliance in order to pursue the World Heavyweight Championship belt he has so desired for a long time. This meant that a place essentially opened up on the Evolution roster and Rollins obviously wanted it badly. The events on Raw absolutely shocked WWE fans around the world and the heel turn is on the same level as when Stone Cold Steve Austin made a shocking alliance with WWE owner Vince McMahon. Rollins, Raw and The Shield have been trending on Twitter ever since Raw aired. Roman Reigns tweeted shortly after the shocking events on Raw "Trust is completely dead to me" along with a picture of his bruised and battered back. The events are easily the biggest shock in the WWE world since Brock Lesnar ended The Undertaker's long running streak at Wrestlemania back in April. It will be interesting to see where Seth Rollins goes from here as he is going to have to watch his back big style as his ex Shield amigos will be out for blood.